1. For beginning – regular maintenance (change engine oil/ oil filter/ etc) of heavy machineries – Such as excavator/ wheel loader/ hydraulic crawler drill/ 4WD vehicles. 2. Next slight advance work shall be dismantle of hoses, dismantle pump cyclinder with simple and external of machine. 4. After few years of experience and gone through training, overhaul engine, testing complete hydraulic system etc. 5. The mechanic will work under a shed environment. 6. There is overtime pay to them who are willing to work after normal working hours. The pay for overtime shall follow the labour law. 7. Better amount of increment, it shall be at range 15% to 20% annually if those perform well. No ceiling of wages. 8. There are promotion opportunities to supervisor and to manager level. 9. Company will pay bonuses and incentive annually. 10. If those work in Sarawak if they are family based in peninsular Malaysia, they will pay extra allowances for wages and flight fare. 11. Uniform and safety shoe will be provided. 12. Accommodation will be provided. 13. For those who are able independently perform up to company standard, he will give a vehicles. 14. There will giving chances to learn technique of advance repair for hydraulic crawler drill machine. He may post to Kuala Lumpur or overseas for training. 15. It was just taking care of about six machineries in a workshop. We practised the principal, no breakdown is good for company. Therefore, if machineries run in good condition. The mechanic is quiet free. 2. Preferable age above 18 years old. 3. Internship / Graduate Required. 4. Certificate / Diploma Level. 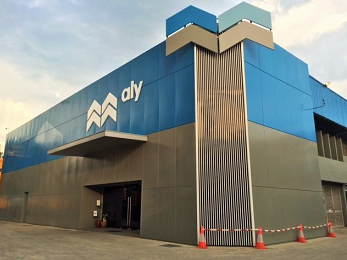 6. working location – Kajang / Johor Bahru/ Sri Aman Sarawak. No. 120, Jalan Sutera Tanjung 8/3, Taman Sutera Utama, 81300 Skudai, Johor, Malaysia. 1. Service and repair car, Provide checking and maintenance, Suggestion about solution to solve problem, Ensure working area are clean and tidy. 2. Preferable age between 18-25 years old. 5. Possess a valid class D2 and B2 driving license. 6. Preferable with automotive experience. 7. Required language: Malay and English or Chinese. – Setup and assemble machines or mechanical components according to requirements. – Inspect machines, engines, transmissions etc and run diagnostic tests to discover functionality issues. – Manage repairs aiming for maximum reliability. – Troubleshoot reported problems and resolve them in a timely manner. – Perform through maintenance on machinery, equipment and systems. – Clean and apply lubricants to machinery components. – Replenish fluids and components of engines and machinery. – Offer consultation on correct maintenance and preventative measures to machine or vehicle users. – Undertake other duties as assigned (e.g. repair of hydraulic systems, painting vehicles etc.). – Document logs of work and re[port on issues. – Strong knowledge of machinery and hydraulic, electrical and other systems and their components. – Skilled in using various hand tools (screwdrivers, hammer etc.) and precision measurement tools (e.g. calipers). – Able to follow established procedures and practices and read instruction, blueprints etc. – A solid commitment to all health and safety guidelines. – Excellent physical strength and stamina. No. 9, Jalan Taming P/1, Taman Taming Jaya, 43330 Balakong, Selangor Darul Ehsan. 1. To repair customer car. 1. At least knowledge in basic automotive things . 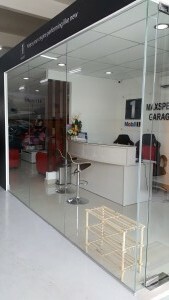 No.20 Jalan SS3/59 Petaling Jaya Selangor, Malaysia. 1. Despark graduated student, hardworking, interested in BMW, willing to learn more. No.19 , Jalan PJS 11/2 , Bandar Sunway , 46150 Selangor D.E Malaysia. 1. Hands-on jobs that require meticulous observation and careful workmanship. 1. At least knowledge in basic engine oil servicing. No.23, Jalan Harmonion 35/3, Taman Desa Tebrau 81000, Johor. 1. Mechanic / Diagnostic Specialist. 1. Troubleshooting Can – Bus system for Continential Cans. No.18, JALAN PJS 1/30 Petaling Utama, 46000 Petaling Jaya SELANGOR. 1. 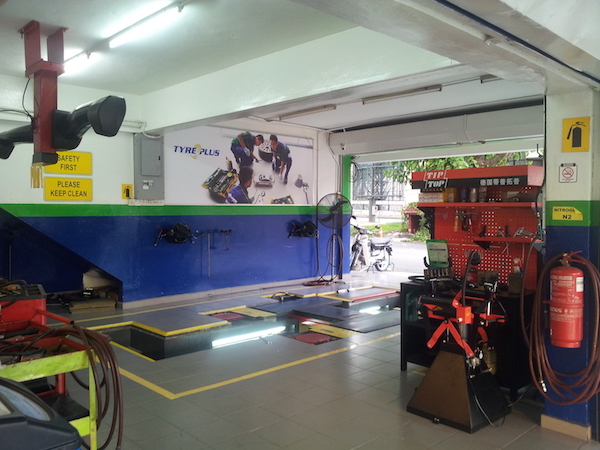 Maintenance service, repairs, tyre fitment, Alignment. 1. Able to work independently or with minimum supervision. No.1, JALAN U1/77, TAMAN PERINDUSTRIAN BATU 3, 40150, SHAH ALAM, SELANGOR. 1. Car Mechanic for installing car bodykit and carbon fiber part. 1. Modify BMW and Mercedes Benz car. 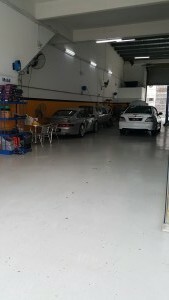 19G, Jalan OP ½ Off Jalan Puchong, Pusat Perdagangan One Puchong, 47170 Puchong Selangor. 1. 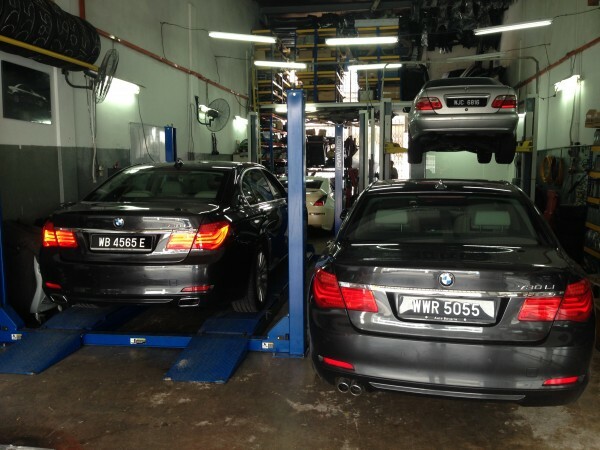 Maintenance Service, Repair Works, Overhaul, Diagnostic & Troubleshooting (Specialize in BMW). 1. Maintenance service, repair works, overhaul & troubleshooting. Fresh Graduate or 1 – 2 years working experience in related field is an added advantage. No. 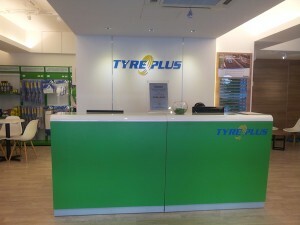 19 Jln PJU 3/42 Sunway Damansara Technology Park, 47810 Petaling Jaya, Selangor. 1. Maintenance service, repair works. – Replacement or modification works on Mercedes Benz/ BMW/ AUDI / PORSCHE cars and any related other vehicle types undertaken by the company. Basic car knowledge and able to work independently. 1. To promote continental car spare parts and accessories. 2. To open new customer accounts. 3. To solicit sales orders from existing / potential customers to achieve monthly sales target. 4. To establish good relationships with customers via good networking and support. 5. Undertake any other tasksas instructed by the superior. Others: Must be PC proficient and familiar with Microsoft Excel and Word. You will provide efficient technical services and support, including trouble shooting, maintenance, servicing of heavy vehicle, heavy machinery / equipment and its related parts. Experienced mechanic or fresh graduate are welcome to apply. Willing to learn and hardworking. Perform maintenance checks, servicing and repair works on construction equipment such as boom lift, scissor lift, crane etc. as assigned . Schedule and coordinate daily operations work processes and plans to meet customer requirements and monitor works carried out. Coordinate with cross-functional colleagues, logistic company and customers. Support other ad-hoc duties as assigned. Fresh graduates with good attitude are welcome. Responsible for participating day-day operation. No. 6, Jalan PJU 1A/12(TPJ4), Taman Perindustrian Jaya, 47200 Petaling Jaya. Please send your resume to career.kinetics@stengg.com, stating “Despark – <Position> – <Reference> – <Your name>” on the subject title. Customer oriented with good interpersonal skill. No.76, Jalan SS24/2, Taman Megah 47301, PJ Selangor. To ensure all systems installed are promptly initialized. Installation and testing of products and features. Outstation travelling is required when necessary. Coordinates technical knowledge within the department. Adhere the standard of procedures and work practices in their area of responsibility. To maintain harmonious working environment and Health Safety Environmental awareness. Competencies in working related equipments and tools. Carry out special tasks and other jobs as assigned by manager or supervisor. Certificate in Automotive or Technical Engineering or related disciplines. Hand-on of wiring experience will be an added advantage. Working experience in the automotive industry environment / workshop / car accessories experience. Fresh graduates may consider. Possess valid driving license (Class D). We provide excellent opportunities for career growth and a very fast paced and challenging working environment. Successful candidates can expect an attractive remuneration package together with fringe benefits and excellent career prospects. Identify current and future customer requirement and to promote and marketing company’s product – Bison Savanna 4×2 and 4×4, Auman light duty and heavy duty trucks. Establish new account by identifying potential corporate client. Conduct regular visits to customers to understand their needs and improve customer sales satisfaction index to provide the best level of sales and after-sales service to customers. Compiling marketing information enabling the Management to make decision on strategy in areas such as market opportunity, market penetration strategy and market development. Work closely with the sales team in executing and implementing marketing and sales targets of the Company. Diploma / Certificate in Automotive Engineering / Marketing or equivalent. Creative, discipline and ability to work with reasonable supervision. We offer monthly basic salary, car allowance, petrol allowance, commission, medical benefits, annual leave, etc to successful candidates. Conduct cold calls, field visit to customers to understand their needs and able to advise customers with basic automotive / engineering knowledge. Able to diagnose vehicle problems, faulty parts and rectify customer’s problems. Prepare CRM / customer’s visitation reports by collecting, analysing and summarizing the feedback from customers pertaining to their satisfaction level on our product performance; seek suggestions / recommendations for further improvement. To provide solution to the customer’s needs and handle customer’s complaints. Work closely with sales and technical team in executing and implementing strategies to align with Company goals. Diploma / Certificate in Automotive Engineering or equivalent. Candidate should possess good interpersonal and communication skills. Issue work request, follow up and assist in attending breakdown requests from customers. Needs to travel outstation and within Klang Valley to deliver vehicles. Assist to provide technical support and field service to trucks and lorries. Coordinate invoicing to customers and warranty claims. Initiative, discipline and willing to attend field service. Headquarter: 89&90, Taman City, Jalan Kuching 51200, Kuala Lumpur. To have technical knowledge on motor vehicles and heavy machines. No.22, Jalan Bulan BM/U5, Bandar Pinggiran Subang, Seksyen U5, 40150 Shah Alam, Selangor, Malaysia. 255, Jalan Utara, 11700 Gelugor, Penang. APR Center (M) Sdn Bhd is a representative office of APR LLC which is an automotive engineering firm operating a 36,000 sq ft performance campus in Opelika, Alabama with over 80 employees. APR was founded in 1997 with a corporate philosophy of Integrity, Excellence and Innovation. APR’s Sole Mission is to provide the highest quality and most highly engineered aftermarket performance products available for Porsche, Audi and Volkswagen Vehicles. Our motto – Enhancing the Driving Experience with No Compromise. 10, Jalan PJS 11/8, Bandar Sunway, 46150 Petaling Jaya. 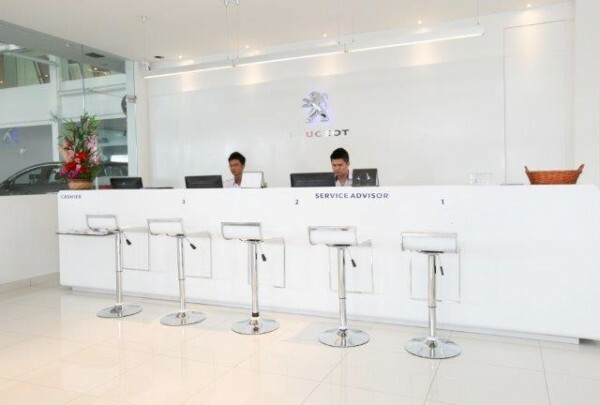 We are authorized 3S Centre for PEUGEOT, FORD, MITSUBISHI MOTORS, MAZDA, HYUNDAI, PROTON. Due to business expansion we are seeking for the talent. With positive attitude and face challenges head-on individual to join us. LOT 7542, KELANG GATE BHARU, JALAN GENTING KLANG, 53100 SELANGOR D.E. Mechanical Technician/ Foreman, Tyre man, Air Cond man, Accessories man, Service Advisor. No. 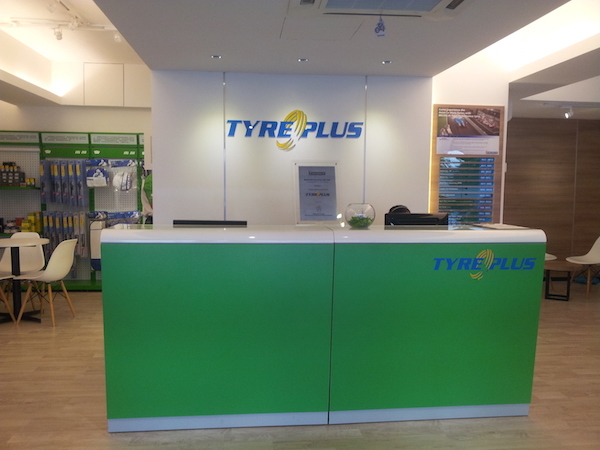 12, Jalan Penchala 46050 Petaling Jaya, Selangor D. E.
017-989 8143 / 03-7784 2162 (Mr Seon). Conduct servicing, maintenance and repair of vehicle. Ensure all vehicles are road worthy within manufacturer standard and specification. Applicants must be willing to work in Bandar Sunway / Shah Alam / Cheras / Klang. Skill mechanic in diesel engine for generator, air compressor and other construction equipment. Service maintenance and repair of generator, air compressor etc. Show great interest and skill in engine service & overhaul. Discipline and right attitude to move forward. Develops & maintains a working knowledge of the functions & operation of the various mechanical, hydraulic, & electrical systems used on the vehicles on which the service department normally work. 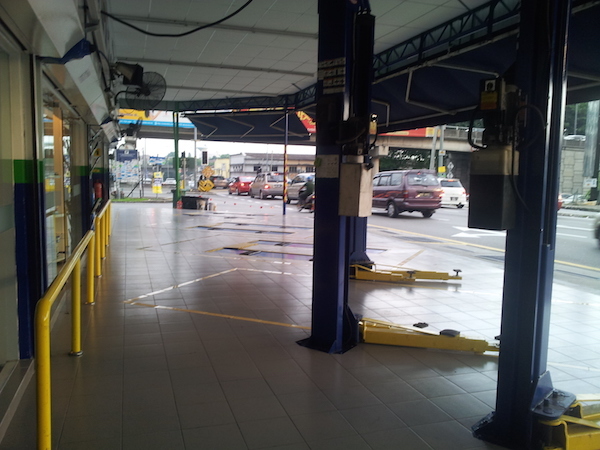 Ensures that customers’ vehicles are fixed right 1st time by implementing the quality procedures. Ensures that repair estimates are reasonable. Ensures that repairs are carried out within promised delivery time & estimated cost. Follows up with spare parts for procurement of materials, specially the parts on VOR. Ensures chief technicians are following quality control policy & procedures. Studies factory’s technical information/service bulletins. Ensures job controllers are feeding correct/proper operation number. Monitors closely the vehicles repairing. Ensures the computerized & analysis reports are utilized for booking & follow-up with chief technician for repairs in promised delivery time. Maintains a high level of grooming, hygiene, & uniform appearance for himself & his staff. Customer complaints handling. Keeps equipment available for use by inspecting and testing vehicles; completing preventive maintenance such as, engine tune-ups, oil changes, tire rotation and changes, wheel balancing,replacing filters. Specialist on continental cars, fast and reliable servicing. Fresh graduate are welcome, hardworking and willing to learn. 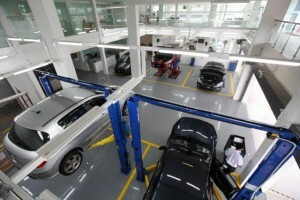 Serve all kind of cars and servicing, good working environment and a place to adapt new skills. Hardworking young graduate, experienced technician are welcome, good attitude and well behaved. 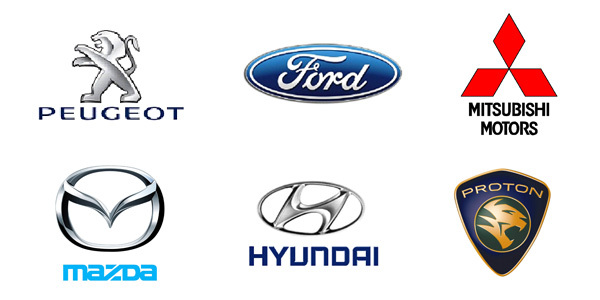 Serving the majority kinds of vehicle, pioneer for 18 years in the industry. Specialist in BMW and Mercedes. Learners are welcome! Most spot for antique cars and majority car repairing and servicing. Preferable Chinese, interested in antique cars is extra point, keen to learn new thing. 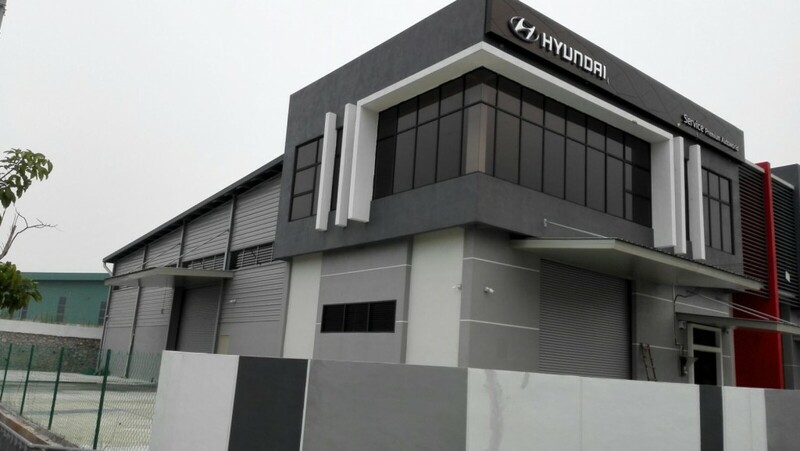 36 & 38, Jalan Perpateh, 72000 Kuala Pilah, Negeri Sembilan. Seek for talent individual, good attitude that able to drive for the following job position. Passenger car & 4×4 & pick up & light trucks up to 3 tons mechanical maintenance services, mechanical repair, engine tuning, barking system & engine overhaul. Positive attitude, committed to job, responsibility, hardworking. No: 10 & 12 & 14 Jalan Sepadu 25/D, Axis Primier Industrial Park, 40400 Shah Alam. Basic knowledge of engine overhaul, diagnosis tools, positive attitude, committed to job, responsibility, hardworking.